Shopping for Wolverine Belt Buckles? Be a secret superhero with this awesome belt! 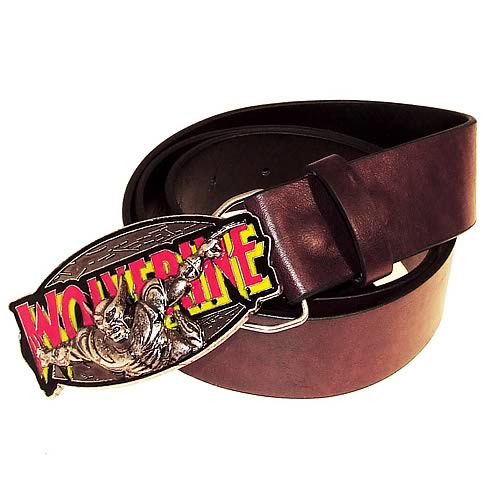 The Marvel Retro Collection Wolverine Belt and Buckle is sure to add some style to your wardrobe. It features a sleek black belt along with belt buckle of Wolvie almost tearing right out of the belt buckle. Belt measures 50-inches long. Ages 3 and up.